In recent years, automotive manufacturers have been trying out a variety of new in-vehicle infotainment (IVI) platforms without unveiling their roadmap ahead. Today, the car companies have begun to place their bets, and the choice is increasingly coming up Linux. Last year a report from IHS suggestedthat by 2020, Linux will push past QNX and Microsoft to lead a 130 million unit in-vehicle infotainment (IVI) market with a 41.3 %share. If this has to be believed, then can we expect a similar situation happening in the automotive space as it was in the telecom and mobile industry few years back. In search of the reality, Shamik Ghosh of Telematics Wire interacted with Jim Zemlin of The Linux Foundation on the benefits of Linux and open-source collaboration in the automotive industry. Jim is executive director of The Linux Foundation, a non-profit organization and the home of Linus Torvalds. He works with the world’s largest technology companies and others to help define the future of computing. 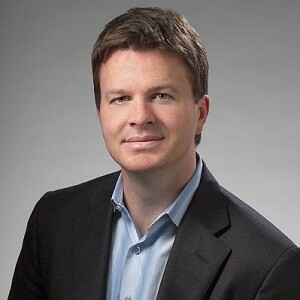 He has worked at Western Wireless (later acquired by Deutsche Telekom and renamed T-Mobile USA), Corio, and Covalent Technologies, and was executive director at Free Standards Group. In a nutshell, can you define your role at The Linux Foundation? How has been your journey so far? What I work at every day is to help companies understand how to use Linux and open source as a force for innovation. Everyone from startups to the world’s largest tech companies can benefit from it. I’ve been at this for more than a decade but it’s been just in the past few years that I’ve seen major shifts in software development spanning almost every industry. The old in-house proprietary software development model is being supplanted by the open and collaborative development model because it enables faster development with higher quality code and lower costs. This is causing the entire software value chain to change. Software is more important than ever and programmers are in more demand than ever. This is exactly what’s happening right now in automotive. How is the ‘open-source’ collaboration gaining popularity in the automotive space? Is it true to say that Linux will emerge as a ‘game-changer’? I can see a world in the future where Linux can be a part of the technology that controls the actual car itself. An open platform paves the way for innovation in everything from self-driving cars to interaction with other objects to do things like traffic planning, home automation, fuel servicing and who knows what else–the possibilities are limitless. What Linux and open source can do for automotive is the same thing it’s done for other industries from electronics to mobile devices to supercomputers–it frees people up to innovate rather than every vendor spending time recreating the same core platform. Open and collaborative development allows the best and brightest to work across company lines to create this common platform together. Time and resources then shift to areas of differentiation for building the car of the future. What would influence automotive OEMs and electronics industry to choose an open-source platform rather than working on a proprietary solution? People want their automotive user experience to rival that of the mobile device. More than half of the code in most mobile devices is open source. Automakers cannot meet the expectations set by the mobile industry by creating software by themselves. This is why many OEMs are turning to open source. Folks like GM, Tesla and Cadillac have all turned to Linux to create automotive software that they use and control. A new car has 5 to 15 million lines of software code that are reliant on and integrated with thousands of mechanical and electrical components. This is a very difficult thing to support alone. An open source platform is supported by everyone, so that code is more easily updated and maintained. The aim of Automotive Grade Linux (AGL) is to create a common platform that any OEM or Tier-1 supplier can use as a starting point for innovating on top of rather than every OEM building a Linux automotive stack from scratch. Jaguar Land Rover along with Nissan, Toyota and Hyundai has collaborated with Linux Foundation for AGL. Are these member companies planning some products on AGL platform? If yes, what is the time-frame for the roll out of these products? We can’t comment on OEM plans, but seeing the level of activity in the AGL community I suspect you’ll see at least one OEM coming out with an AGL-based IVI system in the next year. What unique features are being provided by AGL that are not supported by other open-source counterparts, such as the one GENIVI is providing? The aim of the two open source projects are different but we’re pretty closely aligned given the focus on open source. We are in talks about how to more closely collaborate to benefit the industry. GENIVI has focused on specs and the compliance program while AGL’s key focus has always been to build a common automotive software stack with code. The approaches of the two organizations are also slightly different. The GENIVI spec has some components that are not available in open source. With AGL, any developer can use or contribute code, and everything is released in the open. Since AGL is intended to be used across multiple mobile OS platforms and by various OEMs, how do we ensure its ‘platform-agnostic’ behavior? In the same way you don’t see Linux mentioned in relation to most smartphones or supercomputer or ATM machines, as a consumer you won’t see anything branded as AGL. It’s the platform underneath. OEMs will take it and tweak it to meet their specific needs and can rebrand it as they choose. 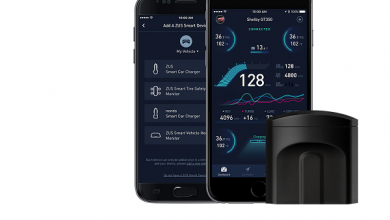 How AGL is looking forward to compete with some of the popular IVI platforms like Android Auto and Apple’s CarPlay? AGL is bigger than any one company or technology. An open source project has no stake except to solve an industry challenge. It’s not “competitive” in the sense that it is freely available for anyone to participate in its development and use. It puts developers in the driver’s seat. Proprietary IVI platforms are maintained by their respective companies where AGL is an open platform that can be modified so OEMs can differentiate on the user experience. Linux and AGL are all about giving OEMs control of their own automotive software platforms and the ability to use and modify the software at its source. Automakers who want to collaborate on the future of the car can do this with an open platform like AGL. Check out our latest issue of Smart Automotive print magazine for more such interviews.